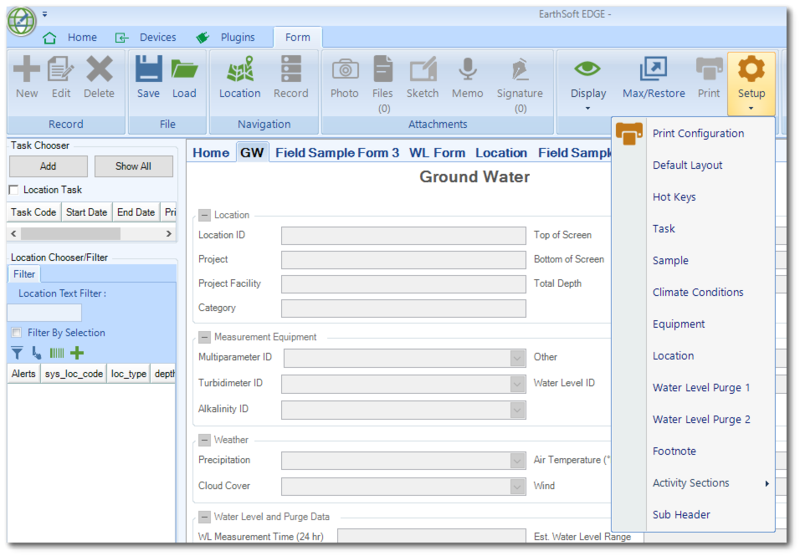 This functionality provides an option that allows EDGE to notify the user if the specific field value has been changed. To implement this option, follow the steps below. 1.On the Form tab, click Setup in the View group and select the desired section to turn on the alerts. 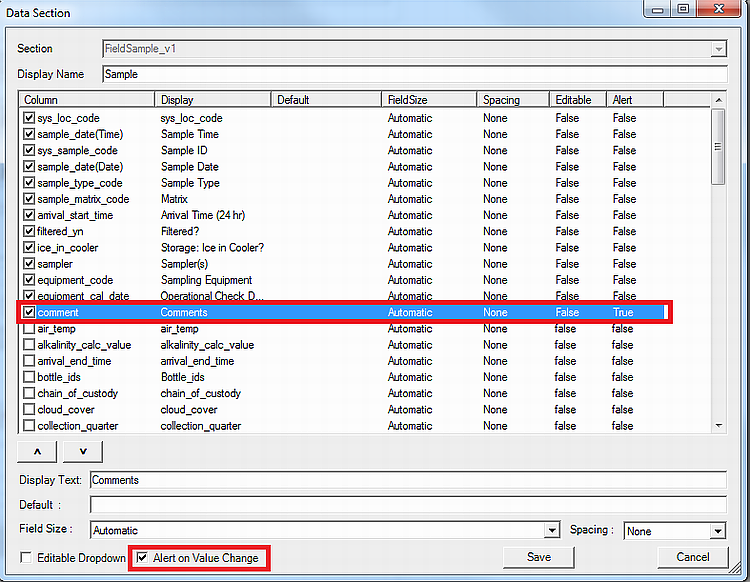 2.In the Data Section window, select the desired column/field and then check the Alert on Value Change option located on the bottom-left of the window. Click Save. Click OK to apply the changes or Cancel to discard the changes.